In order to mobilize the savings of the society, financial institutions are considered as intermediaries and play a crucial role for the growth of the economy of the society. 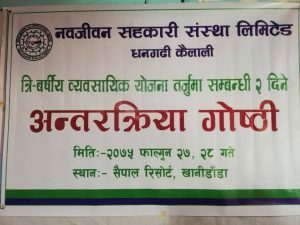 SamudayikVachat Kosh (Fund) was founded in Dhangadhi, Kailali in 31st July 1992 with the joint cooperation of seventeen persons. 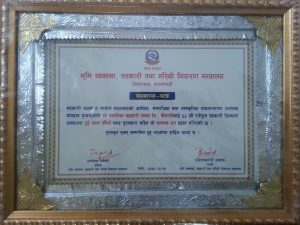 This Kosh was converted into a cooperative named Navajeevan Cooperatives Limited (NCL) with the help of the then branch officer of the District Cooperative Office, Kailali, and registered in the Department of Cooperative as a separate cooperative society.